The Best Business Travel blogs from thousands of top Business blogs in our index using search and social metrics. Data will be refreshed once a week. Business Travel newsletter is a comprehensive summary of the day's most important blog posts and news articles from the best Business Travel websites on the web, and delivered to your email inbox each morning. To subscribe, simply provide us with your email address. London About Blog Launched in the UK in 1976, Business Traveller has become the leading magazine around the world for the frequent corporate traveller. A consumer publication, it is aimed at entertaining business travellers, saving them money and making their travelling life easier. Facebook fans 4,581. Twitter followers 40,614. About Blog Breaking Travel News is the leading online resource for travel industry executives from around the world. The site ranks as one of the leading European business-to-business travel portals, attracting over 10,000 industry executives daily. Facebook fans 7,471. Twitter followers 39,049. United States About Blog Business Travel Life is a resource for business travelers covering business travel tips and trends, healthy travel, travel accessories, hotel workouts and topics that matter to travelers. Our goal is to make business travel healthier and healthy business travel easier. Facebook fans 6,490. Twitter followers 5,365. About Blog FBT is the leading business and travel publication designed to cater to the travel and lifestyle needs of the business traveler. Our readers seek out the best in travel - top hotels, airline cabins, restaurants, & automobiles as well as cultural activities such as concerts and shows -and our writers, members of the Outer Critics Circle & the International Travel Writer Alliance, deliver on this. Facebook fans 1,894. Twitter followers 1,997. About Blog Stuck at the Airport Founder Harriet Baskas is dedicated to helping business travellers make the most of their layovers and unexpected airport ‘lock-ins.’ Her blog covers things like the best airport lounges, up-to-date construction reporting, restaurant and hotel reviews, and other must-knows for the airport-bound business traveller. Facebook fans 1,278. Twitter followers 9,589. About Blog Road Warriorette is the place to find all you need to know about traveling for work with efficiency and style! After a decade on the road, Road Warriorette knows how to help you have the best trip possible. Whether you're taking your first trip or hundredth, you will find useful tips and advice on packing, etiquette, and making your business travel as easy as possible. Facebook fans 18,047. Twitter followers 35,856. New York City, NY About Blog Skift is the largest industry intelligence platform providing MEDIA, INSIGHTS and MARKETING to key sectors of travel. Skift reports and curates news and information about business travel specifically for the business traveler market. Visit the blog to find more information. Facebook fans 37,287. Twitter followers 78,003. Hull, England About Blog Good Travel Management is one of the most trusted independent corporate travel brands in the UK. The mission is to remove the stress of booking, managing and undertaking business travel by making corporate travel better for everyone. Facebook fans 164. Twitter followers 929. New Delhi, India About Blog Visit the blog to find latest news, videos, and discussion topics on Business Travel. Facebook fans 372,986. Twitter followers 14,080. About Blog American Express Global Business Travel provides end-to-end corporate travel and meetings program management - for companies of all sizes and across all industries. Check in with our business travel blog, The Atlas. American Express Global Business Travel has the latest business travel developments to share. Facebook fans n/a. Twitter followers 5,900. Birmingham, UK About Blog Making your travel management easier and more cost-effective. Click Travel's success is built on innovative tech, outstanding service & expert knowledge. Visit the blog to find travel management best practice, tips, news and technical updates from the Click Travel team. Facebook fans 437. Twitter followers 2,176. Australia & New Zealand About Blog For the latest corporate travel insights and expert commentary driving better business travel, visit the must-read business travel blog. Facebook fans n/a. Twitter followers 2,205. London, UK About Blog Buying Business Travel is the UK's leading publication for travel and meetings buyers and arrangers. Buying Business Travel is the industry's ultimate one-stop resource for information - whether via the print magazines and supplements, events, digital editions or 24/7 online news channel. Facebook fans 344. Twitter followers 7,830. UK About Blog First established in 1983 as TD Travel, we have over 34 years experience in corporate and business travel management. Find out more about CTI's business travel partner services. Facebook fans 281. Twitter followers 4,558. Facebook fans 1,609. Twitter followers 892. About Blog Travel Counsellors is a network of experienced business travel professionals which offers a personalised travel service for companies of all sizes. California, USA About Blog Travel After Five a blog with resources for business professionals traveling for work. While on a business trip, you might find yourself in a cool city but everything you want to see is closed after 5:00 pm. Travel After Five focuses on activities you can do after you get out of your last meeting or conference, along with advice for your business trips. Facebook fans 97. Twitter followers 388. California, USA About Blog Business travel tips for road warriors. Travel Smarter with our travel tips and travel hacks, packing tips & more. Plus, find the best travel gear and funniest travel memes. Facebook fans 128. Twitter followers 1,516. UK About Blog We create travel programmes to suit client needs, offering a flexible approach combining the perfect level of high touch service and innovative technology. We configure and develop our programmes to work with our clients through changing business needs and to prepare for future growth. Facebook fans n/a. Twitter followers 2,155. About Blog The "Informed Traveler Blog" features the latest in corporate travel news and information for your business. The mission is to provide outstanding service, significant cost savings and comprehensive, convenient travel solutions to professional travel managers, administrators and business travelers. Facebook fans 802. Twitter followers 1,066. Facebook fans 2,672. Twitter followers 2,125. About Blog Christopherson Business Travel is the independently-owned leader in intelligent corporate travel management. We are a certified, woman-owned corporation, and ranked by Business Travel News as the 12th largest corporate travel agency in the United States. Stay up to date with the business travel management tips & insights from our experienced team members. Facebook fans 545. Twitter followers 1,595. Lombard, IL About Blog Founded in 1976, CorpTrav is proud to be a wholly-owned Global Corporate Travel Management Company. Stay tuned with the corporate travel tips, trends and news. For more information on business travel news and business travel tips read the blog. Facebook fans 119. Twitter followers 995. Bradford About Blog Redfern Travel is the UK’s fastest growing Travel Management Company. We have developed systems and technologies which reduce travel costs and the costs associated with administering corporate travel requirements. We’ve been helping people manage travel better since 1937. Facebook fans 217. Twitter followers 877. Atlanta, GA About Blog Teplis Travel is ranked among the top corporate travel agencies in the country. Explore the blog to find posts on corporate travel news. Facebook fans 2,229. Twitter followers 1,012. About Blog Stay up to date with the latest news in the business travel industry. Mission, KS & Minneapolis, MN About Blog Established in 1982, Acendas provides comprehensive technology for corporate travel, meetings and incentives, and leisure travel services. Check the blog to find articles on corporate travel management. Facebook fans 191. Twitter followers 271. Maidstone, South East About Blog From one-off trips to complete business travel management, Your Travel Corporate provide the highest level of service at the lowest possible fares. For expert advice and top tips on how to maximise your travel spend read our business travel blog. Facebook fans 5,126. Twitter followers 755. Belfast, Manchester About Blog Read the latest news from Beyond Business Travel. Updates on flight delays, airline news, travel research and reports and more. Facebook fans n/a. Twitter followers 1,398. Global About Blog Travel health and wellbeing experts specialising in executive travel health. Transforming executive travel into optimal business performance. Facebook fans n/a. Twitter followers 1,996. About Blog CTMS offers a comprehensive range of integrated travel management services for business travel and events providing clients with the technology and service to manage their business travel with maximum efficiency. Facebook fans 388. Twitter followers 489. Buckinghamshire, England, UK About Blog Flightline Travel Management makes business travel smarter, faster and greener. Everyday we help corporate clients, SMEs, and government organisations to better manage their corporate travel programme. About Blog The world's first travel and lifestyle blog specifically for salespeople. Frequently updated with sales tips, travel tips, fashion advice, gear recommendations, and lifestyle tips for salespeople/business people. Facebook fans n/a. Twitter followers 745. Alexandria, VA, United States About Blog The Association of Corporate Travel Executives (ACTE) has a 25-year reputation for leading the way corporate travel is conducted. As a global association, comprised of executive-level members in more than 100 countries, ACTE pioneers educational and technological advances that make business travel productive, cost-effective and straightforward. Facebook fans 3,281. Twitter followers 6,999. Chicago About Blog Business Travel Destinations explores where you travel for business, the hotels you prefer, things to do and your lifestyle preferences on the road. We are committed to inspiring the best in travel. Facebook fans 34. Twitter followers 5,770. Toronto, Canada About Blog Posts about Business Travel written by Mark Crone. Facebook fans n/a. Twitter followers 20,757. About Blog Business Travel news site dedicated to breaking the best Business Travel News from around the world. Facebook fans n/a. Twitter followers 10,249. London and Amsterdam About Blog A blog about the business travel industry for European buyers, bookers and managers. Facebook fans 661. Twitter followers 8,963. 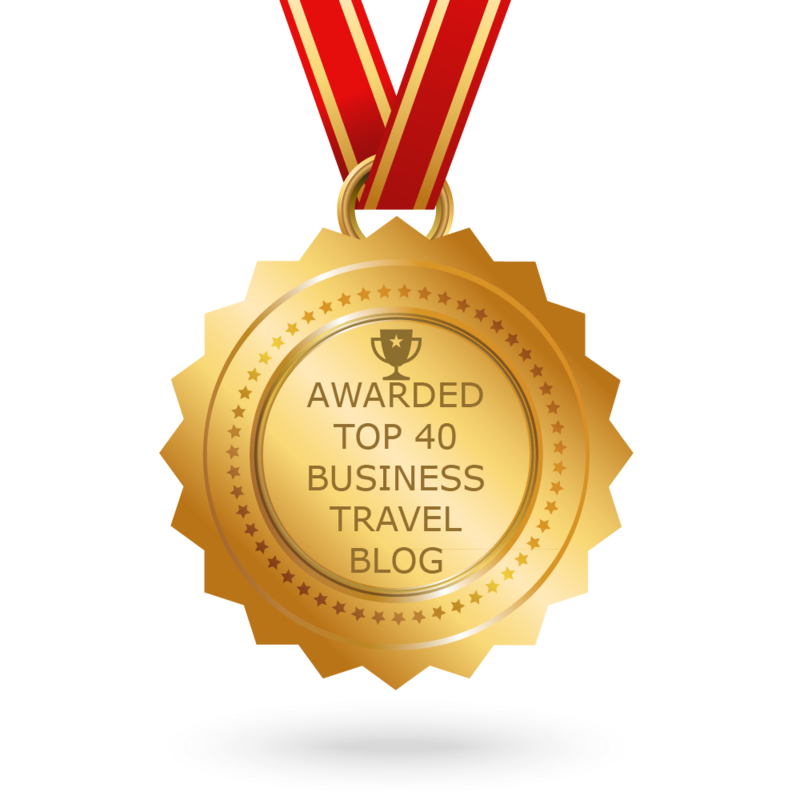 CONGRATULATIONS to every blogger that has made this Top Business Travel Blogs list! This is the most comprehensive list of best Business Travel blogs on the internet and I’m honoured to have you as part of this! I personally give you a high-five and want to thank you for your contribution to this world.